Need help connecting with the modern student? Want to know how emerging technologies can support a diverse student base? What does it take to humanize learnng? Academic Technology Services is proud to host Dr. Michelle Pacansky-Brock for a presentation on "Humanizing Learning with Digital Tools" on Tuesday, October 9th at 11am in the Anatol Center. Dr. Pacansky-Brock is a noted leader in higher education with expertise in online teaching, course design, and faculty development. 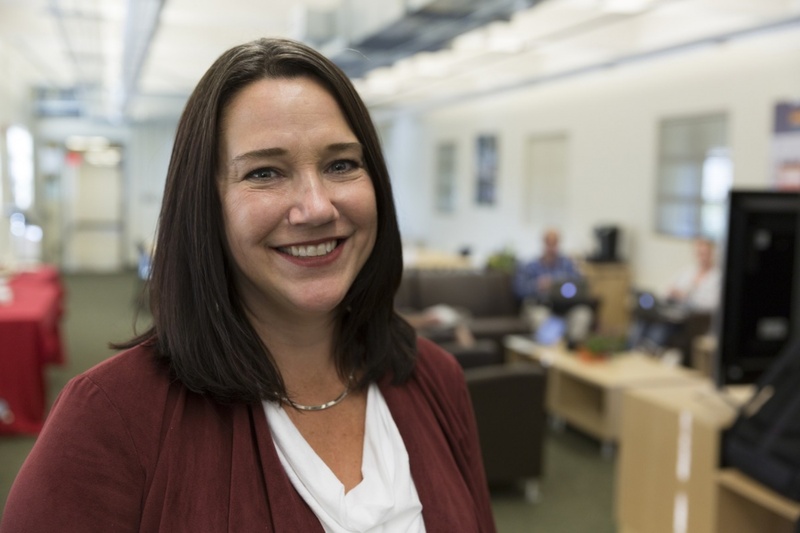 Michelle’s work has helped online instructors across the nation and beyond understand how to craft relevant, humanized online learning experiences that support the diverse needs of college students. She is the author of Best Practices for Teaching with Emerging Technologies (2nd edition, Routledge), has received national recognition for her excellence in teaching, and has held various leadership roles with the Online Learning Consortium (OLC) and the EDUCAUSE Learning Initiative (ELI). Currently, Michelle is a faculty mentor on digital innovation with the California Community College system. She coordinates professional development efforts related to emerging technologies in online teaching and learning for @ONE (Online Network of Educators) and the CCC Online Education Initiative. The California Community College system includes 114 colleges in 72 districts, serves 2.1 million students per year, and has roughly 60,000 faculty members. Connect with her on Twitter @brocansky.